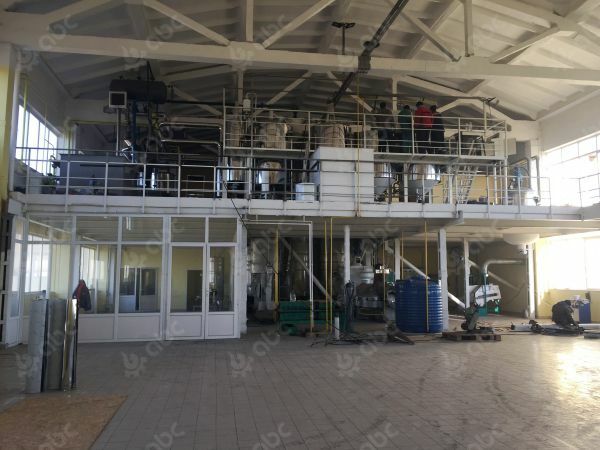 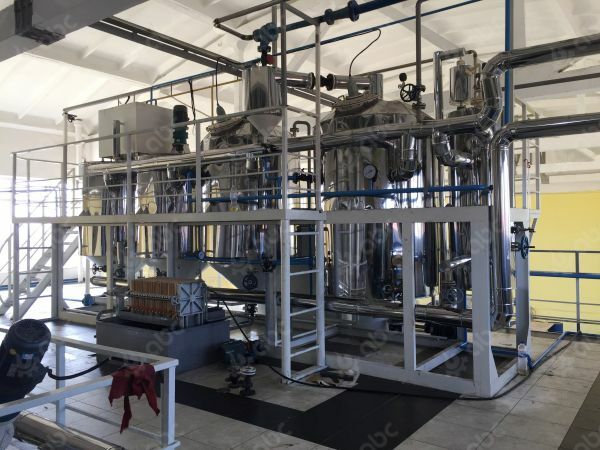 This is a 10tons per day sunflouwer seeds oil press line and 3tons per day sunflower seed oil refinery plant for Moldova client built in Feb. 2017. 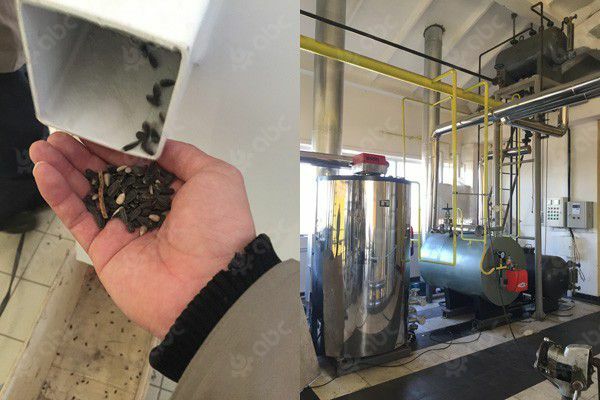 The screening of sunflower seed: the screening machine (sieving machine) remove most of the impurities from the raw material, then raw material goes to the grinding mill over the screw conveyor, after crushing it is elevated to steam cooking machine, after high temperature softening and steam frying will break the internal cells of the material. 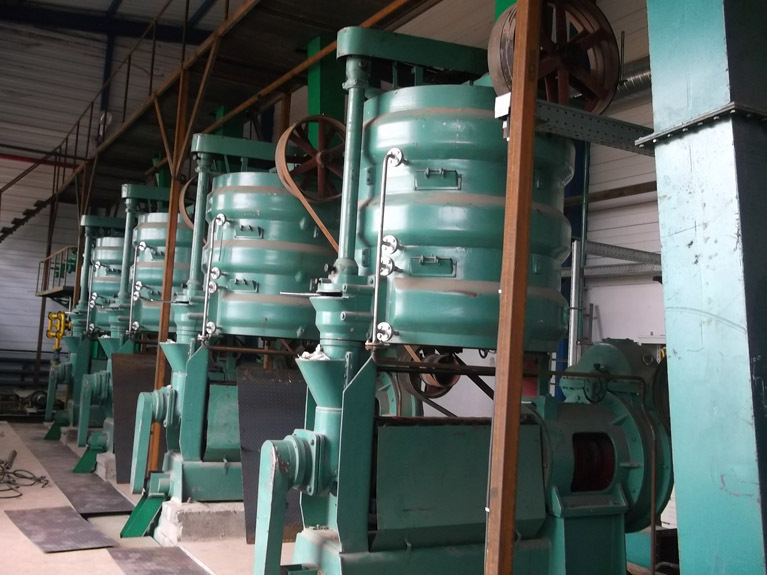 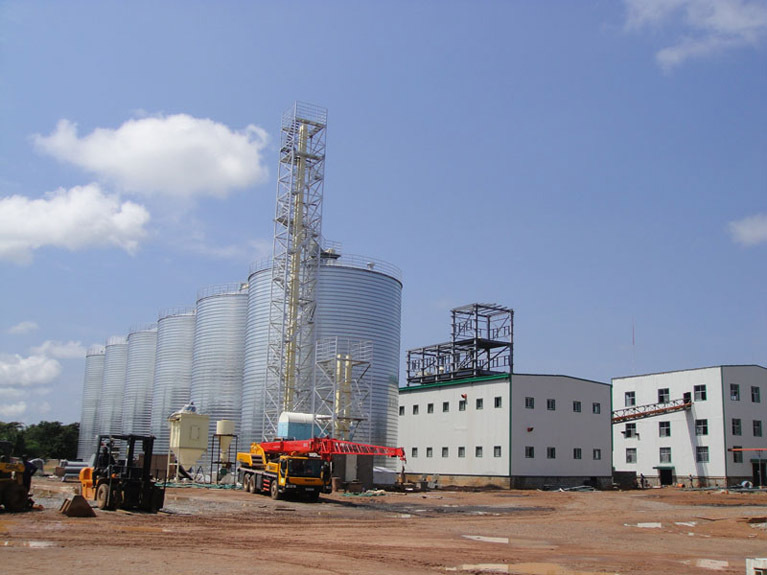 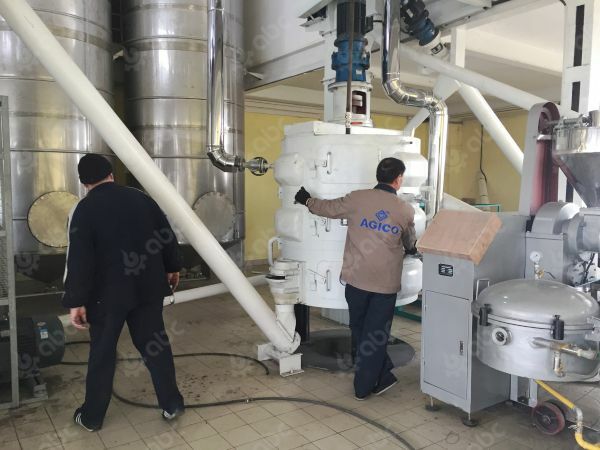 Sunflower seed oil pressing: Material is then transmitted by the screw conveyor to the three-layer cooking machine on the oil press, till the moisture content is proper(about 8% or so); then material fall to the oil press for oil pressing. 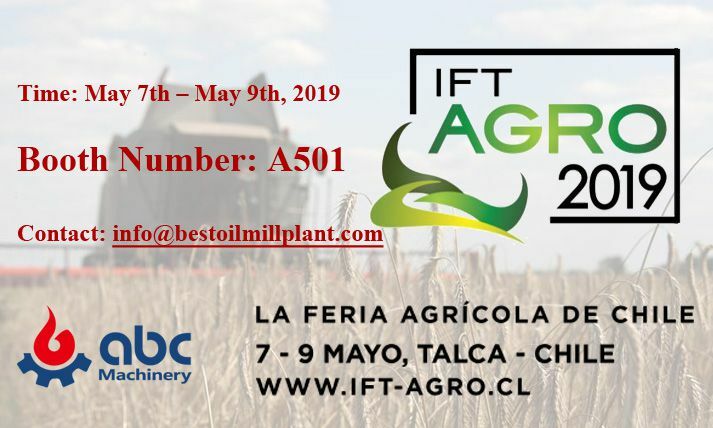 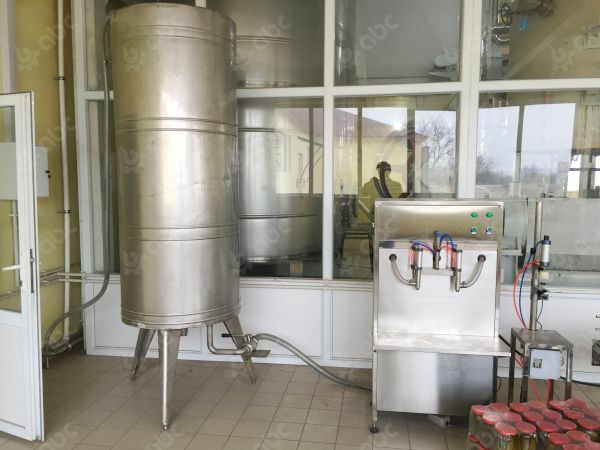 Oil filtering: Oil from the oil press is filtered through the screen to filter large quantity of impurities, and the oil is temporarily stored in the oil tank under the oil press. 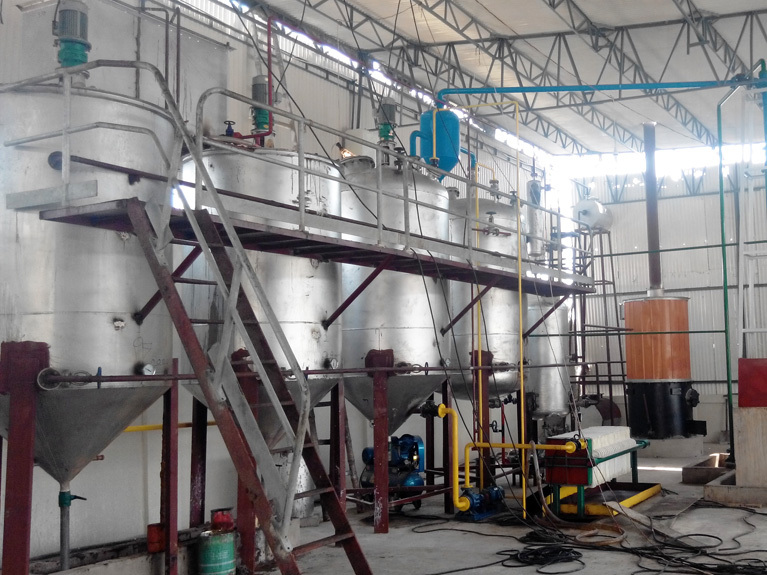 Till the oil in the tank reaches 1.5t, the oil will be pumped into the plate filter. 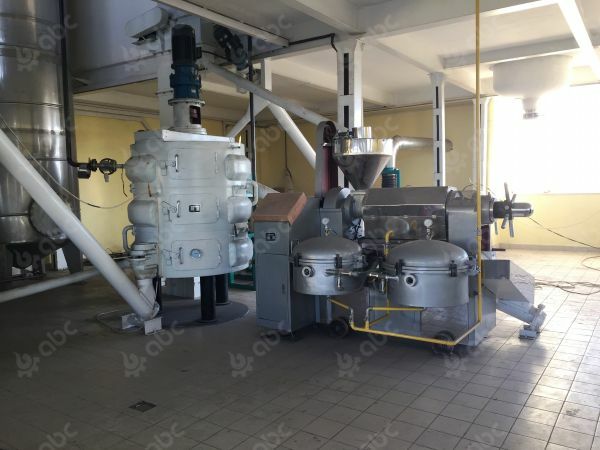 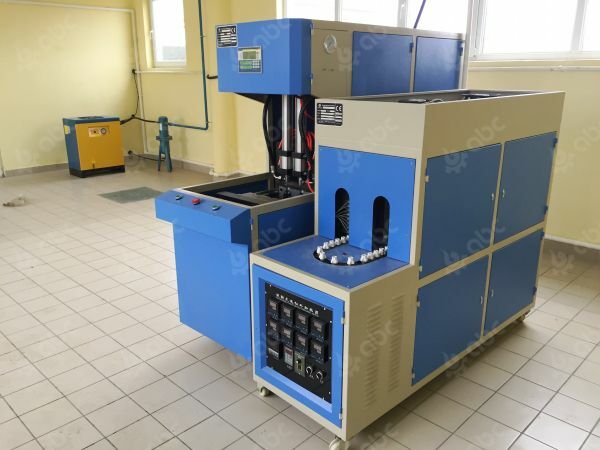 Oil refining: Then the filtered oil is pumped into the refining pot to precipitate and desoponificate, and then it is measured acid base, and adds an appropriate amount of alkali solution. 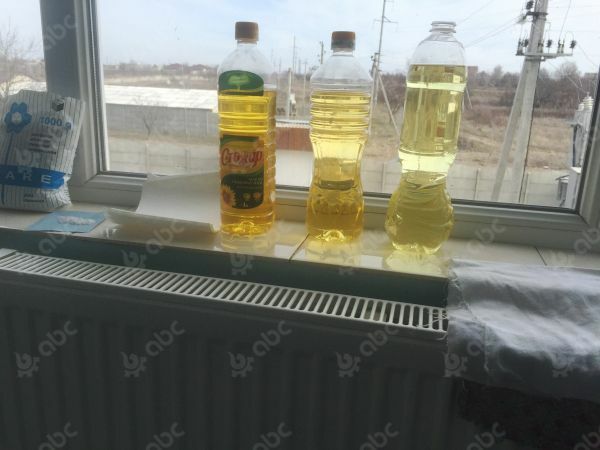 After 8 hours, the oil was washed with brine. 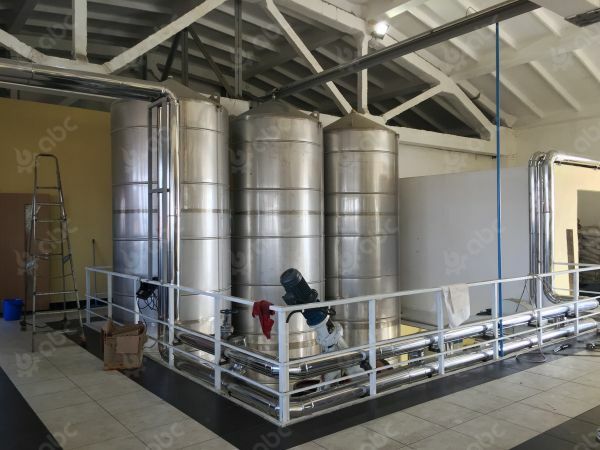 Then oil goes decolorizing, deodorization and filtered and tranmitted to final oil tank. 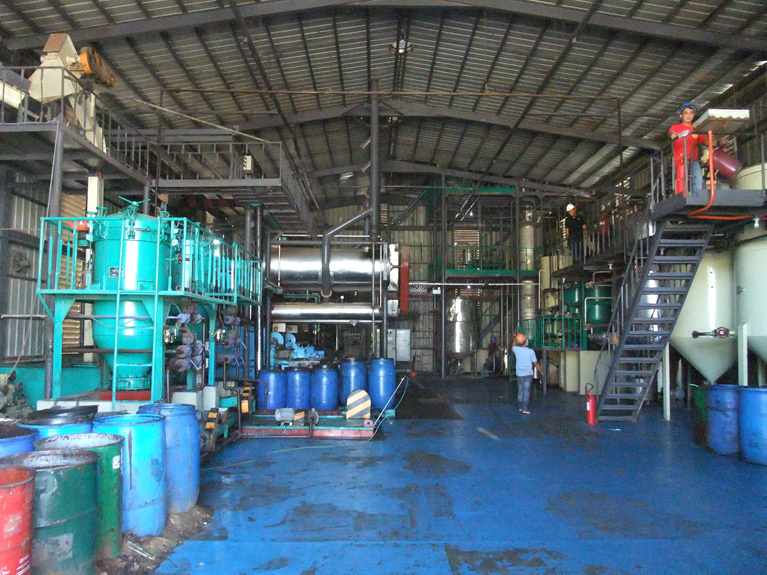 (Read more about oil refinery process.) 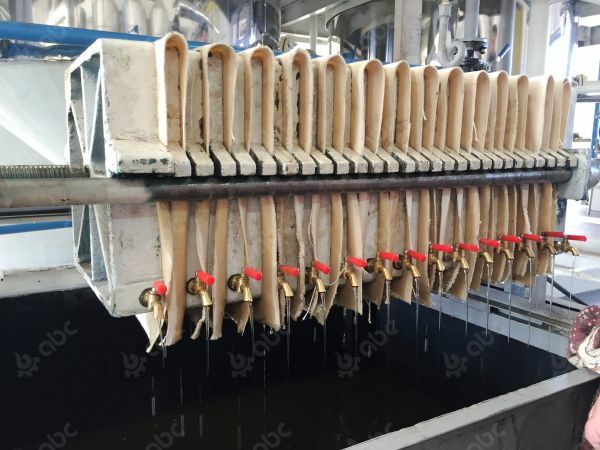 Finished oil is automatically filled and labeled for sale.